March 28, 2019: Fixed some pricing calculations. Our bad! March 27, 2019: Updated with new resource numbers and more comprehensive analysis of price! Are you looking for a new virtual private server (VPS) in 2019? As with every year, the VPS hosting landscape changed a lot by the end of 2018, with a handful of arriving and departing players. There’s new features, new pricing structures, and entirely new technologies (NVMe!). 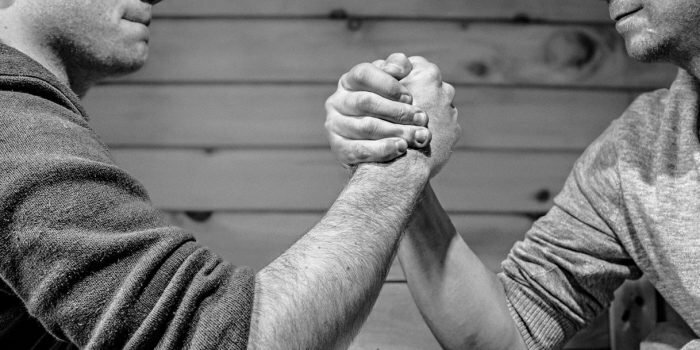 We have plans a-plenty to write up comprehensive VPS comparisons for a bunch of these new contenders, but for now, it’s time to dive into a 100% refreshed VPS comparison for 2019: Linode vs. DigitalOcean vs. Vultr vs. SSDNodes. A virtual private server (VPS) hosting provider owns or rents servers insides of a data center and installs software on these servers, called host machines, that allows them to create additional virtual machines via virtualization (usually KVM). A VPS is a small slice of a very large pie. A computer pie. It’s definitely more complicated than that, but in short, a VPS is a Linux (or sometimes Windows) operating system installation running in a remote location, often called a “cloud.” For more specifics on how we’re using the term VPS for the sake of this comparison, keep reading. We’re looking specifically at 16GB RAM plans. We think these offer the maximum amount of flexibility and ability to run plenty of apps concurrently. We’re calculating costs based on at least one full month of usage. Each VPS provider uses a KVM hypervisor. All of these prices are for unmanaged servers, which means you are responsible for installing applications and maintaining your server. Managed services, where an IT team helps you with installation and maintenance, are another matter entirely and will come at a significantly higher cost. Each plan utilizes shared resources, which means your server runs alongside many other servers on a single host. All VPS providers offer full root access. Every plan provides a few different operating system (OS) options, including Ubuntu, Fedora, Debian, and CentOS. How much disk space, transfer, and CPU does each 16GB RAM plan come with? What are the prices for each plan? How do the 16GM RAM plans from each VPS hosting provider compare? Let’s get a baseline for what we’re looking at with the 16GB RAM plans from these various providers. You’ll notice that we, SSD Nodes, have three different prices in the above table. That’s because we offer a variety of billing cycles, including monthly, 1-year, and 3-year plans, while the others offer only monthly or hourly plans. For all of the calculations to follow, we’ll include calculations for each of the three billing cycles we offer for full transparency of how they compare against the monthly prices from Linode, Digital Ocean, and Vultr. One of the most essential considerations when comparing VPS plans is how much value you get for your money. How much stuff. How much bang for your buck. The best return on investment. Let’s do some calculations based on the numbers in the above table. They’re more than enough to figure out which VPS provider offers the most resources in exchange for every dollar you spend with them. How much RAM do I get per dollar? RAM is the cornerstone to the overall performance of any VPS. You want as much RAM as you’re willing to spend. Having a good overhead of RAM will ensure you can run more applications concurrently before you run out and have to resort to swap. Yuck. Once that happens, the sites and apps you depend on are going to slow to a crawl. Using the same 16GB plans and prices listed above, we can calculate the following RAM per dollar figures. It’s a simple equation: (16 / $plan_cost) * 1000. Why multiply by 1000? That’s to convert from GB to MB (in decimal, not binary), which will help make the numbers a little more understandable. How much disk space do I get per dollar? Disk space has endless use cases from large-scale databases to mission-critical backups to pictures of your cat Linus. Having a lot of disk space is great, but you also want to make sure you’re getting a good deal—particularly if you don’t plan on filling your VPS with hundreds of Gigabytes of data. We are calculating disk per dollar using the same method as RAM: ($plan_disk / $plan_cost). Unlike the RAM equation, we’re not going to convert from GB to MB. How much bandwidth transfer do I get per dollar? Transfer refers to how much data can go into and come out of your VPS in a given month. Every time someone visits your website devoted to pictures of your cat Linus, for example, they will use a certain amount of transfer. While the average user likely won’t need all of their allotted transfer in a given month—even one terabyte is quite a bit—it’s important to know the transfer value you’re getting. The transfer per dollar calculation is ($plan_transfer / $plan_cost) * 1000. We multiply by 1000 to convert from TB to GB to make the numbers a little more readable. We’ve found that most VPS users aren’t as interested in running a single server for an hour as they are a long-term, reliable server that they can use over a long time. With that in mind, it makes sense to consider the total cost of ownership for the 16GB RAM plans with each provider. Let’s dig into how much you’ll spend over 6 months, 1 year, and 3 years. I hope you have a better understanding of how each player in the Linode vs. DigitalOcean vs. Vultr vs. SSDNodes VPS comparison stacks up. The raw numbers don’t lie. What platform does the provider use? Xen, OpenVZ, KVM? Which features do you actually need for your use case? Do you need to run an obscure Linux distribution or Windows, or is Ubuntu 16.04 good enough? Do you need partially- or fully-managed service? What do others think about the service? Has the provider been around long enough to prove their dependability? Do you need advanced features like a load balancer? We’re quite happy with the results value. Not to brag, but even our monthly plans end up giving you far more resources per dollar and are far more cost-effective in the long term. 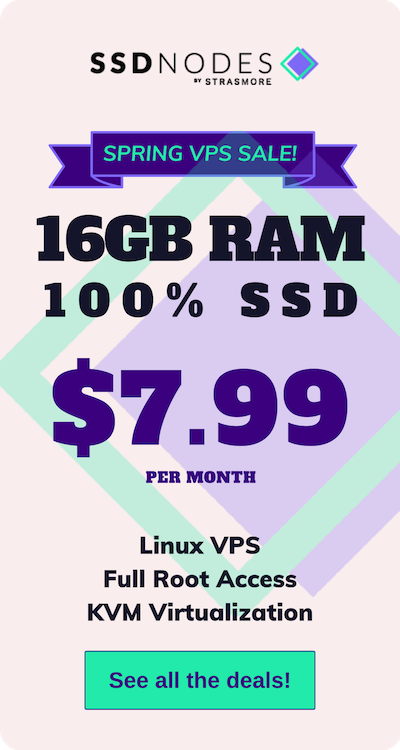 You could get a 16GB RAM VPS with us, on a monthly billing cycle, and spend less over 3 years than you would after only 1 year with Linode, Digital Ocean, or Vultr. Or, look at it this way: By the time you’ve had a VPS with Digital Ocean for 3 years, you’ve missed out on more than $2,000 in savings if you had gone with either our 1-year or 3-year billing cycles. 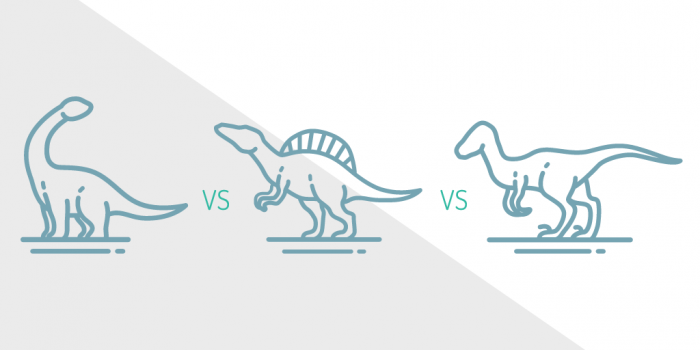 Whether you’re at the beginning or end of your VPS research journey, we hope this comparison has been useful. There’s nothing worse than being wasteful—especially with your hosting costs. Be sure to check us out our full lineup—we’re the best value in cloud hosting.